Buying a bag of salad leaves from the supermarket may feel like the easiest way to try and eat healthily, but it is definitely not the cheapest! Consider growing your own instead. For the price of one bag of salad you could buy a packet of mixed salad leaves seed, which will give you en endless supply for months. 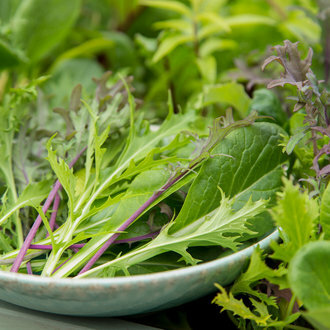 What’s more, salad leaves are amongst the easiest and fastest crops to grow, making them ideal for beginners. What makes up a bag of supermarket salad is typically referred to as ‘cut-and-come-again’. 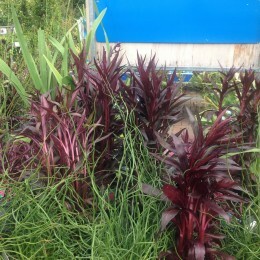 Larger leaves are harvested by cutting them out, allowing the smaller leaves to grow for a second crop. 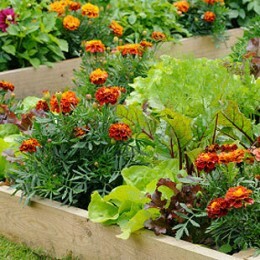 As cut-and-come-again crops are designed to be eaten while the plants are small, they are the perfect crops to grow in containers, or a VegTrug, where space is at a premium. In fact, our clever VegTrugs allow you to grow a wide range of salad crops, as well as herbs, vegetables and strawberries in really small spaces like balconies and patios. They are perfectly designed for an easy working height, so no more bending or kneeling! We have a wider range of VegTrug options including the VegTrug Small, Wall Hugger, Living Wall Herb Pot, Patio Planter and VegTrug Poppy. Also, newly available is our VegTrug for Kids and handy Kids Work Bench! 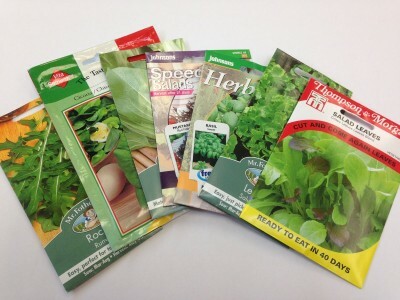 When growing cut-and-come-again crops, these can be sown outdoors by the end of March but check each packets instructions. 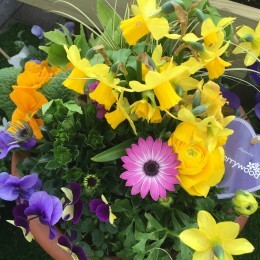 Some may need protection if night time temperatures fall and some may prefer a warmer start in a frost free greenhouse or on a sunny windowsill. Cut-and-come again crops include: basil, celery leaf, chicory, lettuce, mustard, pak choi, rocket, sorrel and spinach to name a few. 1. Sow your seeds into containers, or a VegTrug, of multi-purpose compost or directly into a raised bed or traditional vegetable plot. 2. 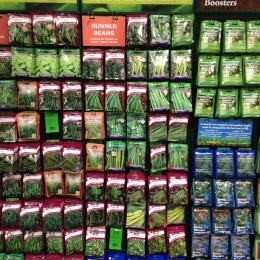 Sow in thin rows or broadcast over the surface of a container. 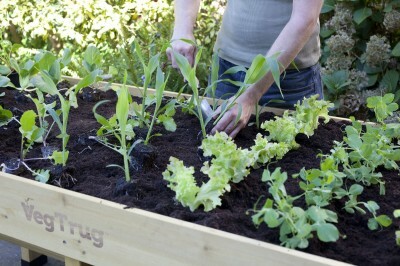 Most salad seed is very small so will only need shallow drills, covered with a thin layer of compost. Sowing in rows is best when planting directly into the ground as it will help you identify any weeds later on. As the salad leaves will be harvested early, you can sow the seeds closer together than if you were growing mature plants; aim for a finger’s width between seeds and 10-15cm (4-6in) between rows. If you make successional sowings of seeds every three weeks, you will be able to maintain a constant harvest. 3. 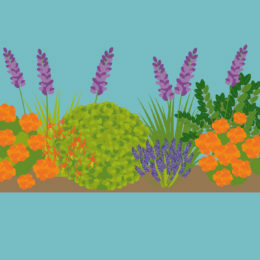 Keep seedlings weed free and well-watered. 4. 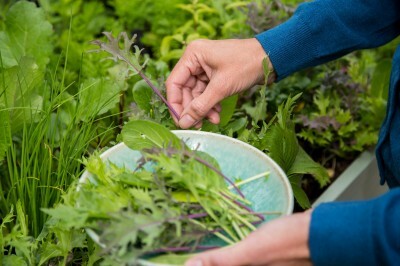 When leaves are of an appetising size, use scissors to snip off a few from each plant at 2.5cm (1in) from the base. Avoid damaging the central growing point of the plant and allow the remaining leaves to grow on. 6. 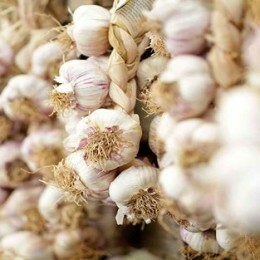 Each sowing should give you three or four cuts before the plants are exhausted and lose their flavour.